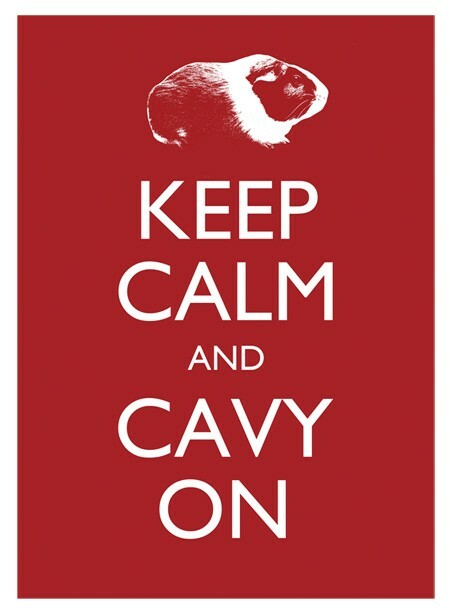 Cali Cavy Collective: a blog about all things guinea pig: Raise cavy morale! Just sharing these in case you haven't seen them yet! Many people are familiar with the "Keep Calm and Carry On" poster that was commissioned by the British government during World War II to raise public morale in the event of an invasion or other wartime emergency. Of course, we guinea pigs also have our own version of these poster signs. Cavies, when a food shortage is in sight (aka if your humans haven't yet made their trip to the grocery store) remember to "Keep Calm and Cavy On"! Love these! I wish someone sold these prints!